The Cities located in the Coachella Valley, are all unique in their own way. 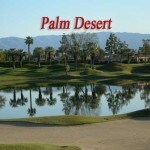 The Westerly City of Palm Springs, is contiguous to Cathedral City, which borders Rancho Mirage. Palm Desert and Indian Wells are our most Centrally located Cities. Our beautiful Eastern Valley is made up of La Quinta, Indio, Coachella, Thermal and Vista Santa Rosa. Palm Springs is Located at the Northern Tip of the Coachella Valley. 37 miles from San Bernadino and 111 miles East of Los Angeles, with a population of just over 44,000 people. Rich in history, the City of Palm Springs is nestled at the base of the Mount San Jacinto Mountains. The Palm Springs Airport offers international flights on a daily basis. Take a ride to the top of Mount San Jacinto in the Palm Springs Aerial Tram, shop the mid century boutiques and art galleries, attend theatre performances, visit The Palm Springs Art museum or relax by a pool. Palm Springs is a hotspot for Mid Century Modernism, and the City is currently enjoying a Revival of it’s “Rat Pack” heritage! There are over 130 hotels and resorts to choose from. Their styles range from mid-century marvels, modest bungalows, historic bed and breakfasts, private villas and condos or Luxury Leases and Resorts. The Palm Springs Village Fest is held every Thursday evening, and transforms downtown Palm Springs into a diverse array of art exhibits and demonstrations, food, and street activity. There is a lively Farmer’s Market every Saturday from 8-12 pm in front of the Camelot Theatres. Palm Springs, CA has many world famous golf courses; Escena Golf Club, Indian Canyons, Mesquite Country Club, Seven Lakes Country Club, Bel Air Greens, O’Donnell Golf Club, Tahquitz Creek Resort, and Tahquitz Creek Legend. Located between Indio and Indian Wells, La Quinta is a cozy desert resort community with a population of just over 37,000 people. The diverse City of La Quinta, is one of the desert’s newest cities, incorporated in 1982. 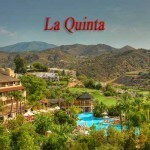 It “feels new”, and with the median age of just 36, La Quinta has a youth to it. La Quinta is recognized for it’s world class events, such as Golf, Polo, Tennis, and Show Jumping, as well as it’s thriving Art Community. La Quinta is experiencing phenomenal growth, and still offers some of the best price/sf values in the Valley. La Quinta is one of the few Cities in the world that pretty much sprang up from a Hotel..now known as the La Quinta Hotel and Spa Resort. The La Quinta Hotel was opened by Walter Morgan in 1926, and soon became a sanctuary for the Stars. It still is a preference of many when they come to visit the desert. The Beautiful addition of Old Town La Quinta, with it’s cobbled walking streets, bars and restaurants, friendly coffee spots, weekly farmer’s market, and once a month Art Under The Umbrella, has really helped to boost La Quinta’s popularity. Located just 11 miles east of Palm Springs in the Coachella Valley, Palm Desert is one of the largest communities on our list with a population of just over 48,000 as of the 2010 census. The City of Palm Desert, incorporated in 1973, is centered in the heart of the Coachella Valley, West of Indian Wells and East of Cathedral City. Five Star Resorts to budget friendly hotels, world class golf to incredible art and architecture, Palm Desert is truly an oasis in the Desert. The Living Desert Zoo and Gardens is not to be missed with it’s array of animals living in natural-like habitats, as well as it’s Holiday events. Home to several Adventure Tour companies, travel the Desert terrain in either jeeps or hummers and learn as you go. Part of the Art in Public Places program, there are over 130 works of art showcased throughout the City. If you’re in the mood for Theatre, try the McCallum. Great shows and fantastic acoustics. The Desert’s version of Rodeo Drive, El Paseo, is located in South Palm Desert and has something for everyone. Art Galleries, fine dining, music, Designer shopping boutiques, The Garden with it’s indoor/outdoor shops, all join together to create a magical desert experience. Located in the heart of the Palm Springs Valley, Rancho Mirage is East of Palm Springs approximately 15 minutes straight down Hwy 111. Rancho Mirage rests at the base of the Santa Rosa Mountains, and is quickly accessible to Interstate 10. Rancho Mirage is about a 20 minute drive from the Palm Springs Airport. Rancho Mirage is approximately 24 square miles, and was incorporated in 1973, so in 1998, Rancho Mirage celebrated it’s silver anniversary. Rancho Mirage is primarily a Residential community and offers many different housing opportunities, ranging from small condos to palatial, luxury estates. Because of it’s proximity to both down town Palm Springs, home to “restaurant Row”, as well as multiple golf courses and shopping, Rancho Mirage is a treat for anyone. With the addition in the 80’s of the Marriott’s Rancho Las Palmas, which is across the street from the spectacular “The River” outdoor shopping and dining mall, Rancho Mirage is the winter retreat of choice for many of the desert’s snowbirds. The City of Indian Wells is small, private, beautiful and very desirable. Bordering Palm Desert on it’s West, and La Quinta on it’s East, it’s easy to see why so many people love living and visiting this little City in the desert. 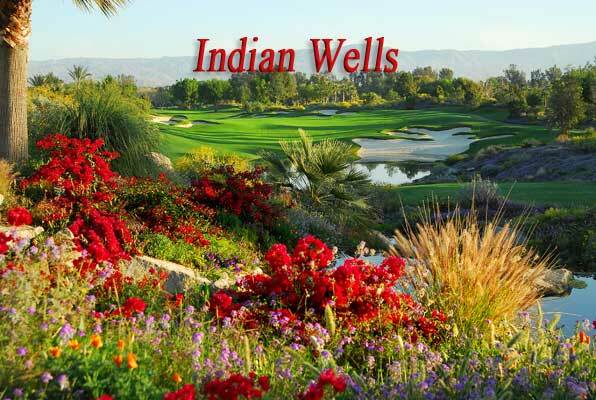 The City of Indian Wells has one of the finest Property Owner benefit programs in the nation. With a Property Owners ID card, residents enjoy discounts at the Indian Wells Golf Resorts, the BNP Paribas Tennis Open, and all four Indian Wells Resort Properties. (Indian Wells, Miramonte, Renaissance Esmeralda, and The Hyatt). Indian Wells is home to six gorgeous country clubs. Eldorado Country Club, The Vintage Club, Indian Wells Country Club, Desert Horizons Country Club, The Reserve and the newest addition, Toscana Country Club. 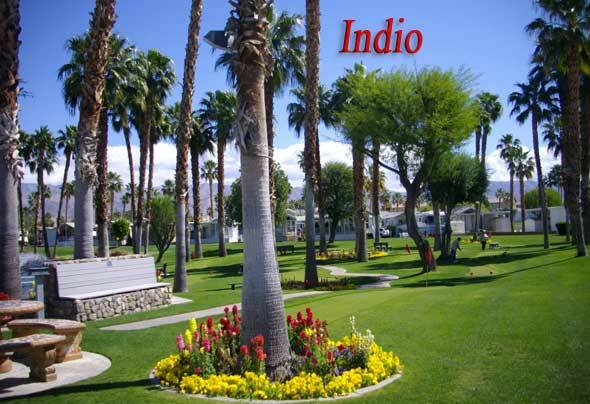 Indio is the largest city in the Coachella Valley with a growing population of over 85,000 residents. Indios’ Western border is La Quinta, and to the East is Coachella. It’s rich, cultural heritage can be seen in bold, colorful murals that embellish buildings throughout the City. The Coachella Valley History Museum helps to explain the History of the beautiful city of Indio. 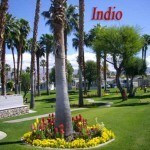 Indio is known as The City of Festivals. Hosting 8 annual festivals, including the Southwest Arts Festival in January, Kennel Club Dog show, National Date Festival and Riverside County Fair in February, the enormously successful Coachella Valley Music & Arts Festival in April, as well as the Stagecoach Country Music Festival. Finish the Festivals off with the Indio International Tamale Festival in December. Indio is also home to two of the largest Polo Clubs in the United States. Empire Polo Club and the Eldorado Polo Club. The Horseshow in The Sun competitors come from all over the world to show their horses. Don’t forget Golf because there are many lovely courses to play, including the 6 at PGA West. 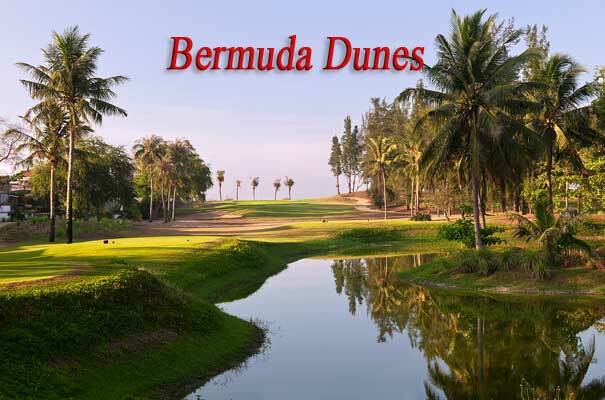 Bermuda Dunes is an unincorporated area of approximately 7500 residents in approx. 2.9 square miles. An ideal location North of Hwy 111, and a short overpass ride to the Interstate 10, Bermuda Dunes even has it’s own small airport! Bermuda Dunes is known as a Rural area as there are many small horse zoned communities and small ranchettes. Yucca Lane in central Bermuda Dunes is just one example of estate sized homes on 1-2 acre parcels that is horse friendly. Sheltered on all sides by the San Bernardino Mountains to the North, Santa Rosas to the South, San Jacino Mountains to the West and the Little San Bernardinos to the East, Bermuda Dunes is a very special, friendly community. 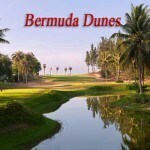 Bermuda Dunes Country Club is one of the best values for a golf course community in the Palm Springs Valley. This country Club has the longest running involvement in a major tournament, the Bob Hope Chrysler Classic since it began in 1960! The Country Club has been home to such celebrities as Clark Gable and Arnold Palmer. This Traditional style course has been played by celebrities and professionals from around the world, and the member and guest services are absolutely stellar! Our Beautiful Eastern cities of Thermal, Coachella & Vista Santa Rosa remain the Agricultural center of the Coachella Valley. Large Date Farms, Agricultural Farms and Equestrian Ranches abound at this end of the Valley. Land prices have recovered, and current Price/Acre pricing has climbed steadily over the past several years. If you’re interested in Investment Land, Farm Land, Land to Bank, or Equestrian opportunities, our Easterly cities are the ones to explore.